This fully restored and renovated cottage is nestled in a private garden compound within a short walk to the village and Main Beach. The cottage has been carefully furnished to meet the needs of discerning traveler's seeking an alternative to hotel lodging. We have selected very fine art work along with hand crafted furniture to reflect the character and charm of the original art colony of Laguna. The bathroom and kitchen was completely renovated in order to upgrade the facilities and appliances to provide maximum comfort. Our guests especially enjoy the freedom of walking to virtually all the major attractions in and around Laguna Beach. When they return at the end of the day, they pass through the old wooden gate, walk down the steps into this remarkable garden setting. We guarantee you will love it here! 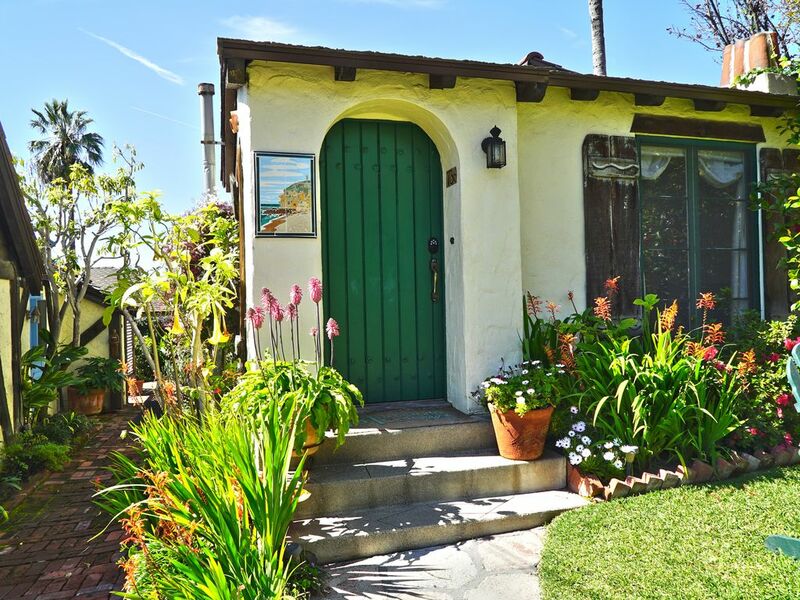 Laguna Beach has a number of hidden treasures that were built during the early days of the art colony era. We discovered this amazing treasure in 1999 when it came on the market. It had been in one family since 1931. After major renovations we opened for our first guests on Valentine's Day in 2000, and have been delighting guests ever since. This is an ideal venue for families, honeymooners, weary business travelers, writers, etc. We are located in what is known as the village center of Laguna which means you can walk to shops, restaurants, galleries and Main Beach.